For 2017/18 applicants, the Dean's Occupational Therapy and Dean's Physiotherapy (Physical Therapy) Scholarships are available for International Students. The UG Occupational Therapy Academic Scholarship and Physiotherapy Academic Scholarship is available for up to 10 students starting Occupational Therapy and up to 10 students starting Physiotherapy in 2017. As occupational therapists and as educators we value human occupation, believing that an individual’s occupational performance is integral to health and quality of life. Viewing people as individuals, within their own environment and context, is central to our occupational therapy philosophy. A client-centred approach facilitates the practical application of this philosophy and recognises the importance of the therapist to enable optimum occupational performance. On this BSc programme you will learn the core skills and knowledge of occupational therapy, integrated with inter-professional issues and research. Periods of academic study on campus are interspersed with practice placements. You are also encouraged to examine the evidence base of occupational therapy, concluding in the presentation of a research proposal. Visit the College of Occupational Therapists website for more information. Find out more about theories informing occupational therapy and experiences of living with disability. 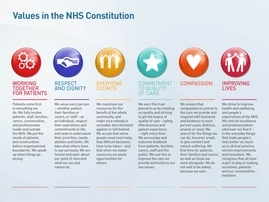 If you are considering studying Occupational Therapy at Brunel University London then you are committed to working jointly with the NHS to demonstrate the values and beliefs of the constitution. As is standard the NHS funded places are subject to contract and are yet to be confirmed at this stage in the academic year. See Frequently Asked Questions, which include application information. The programme aims to prepare you to become a competent occupational therapist equipped for lifelong, safe and effective practice in a variety of health and social care settings. We provide a high quality educational programme, which ensures that you are properly qualified, prepared and safe to practise.